Last week we visited Caldey Island and met Brother Teilo, who told us all about the life of the monks. Then we watched the monks singing and at prayer. The boat journey was a real adventure! 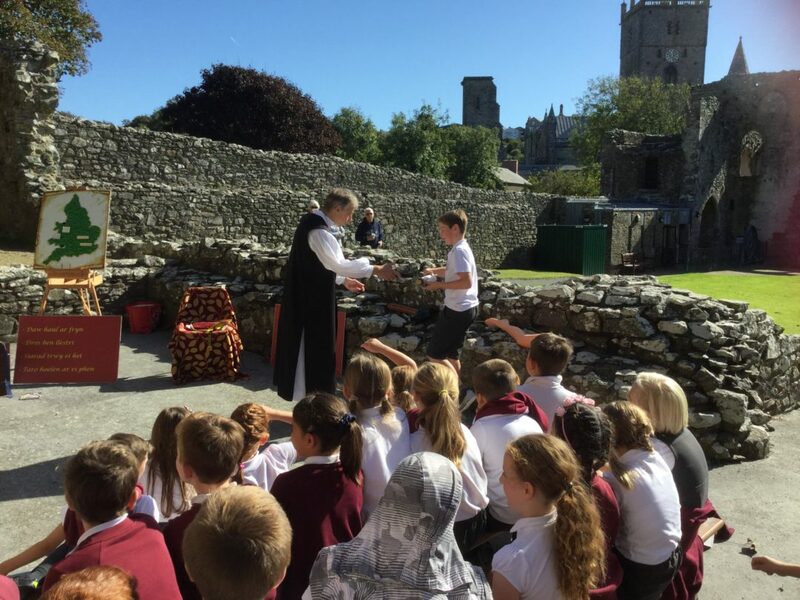 The following day we visited the Bishop’s Palace in St David’s to see a one man show about William Morgan, who translated the Bible into Welsh. Many of our class helped out with the show by playing other characters. We learned that through him the Welsh language was preserved. We’re busy this week writing about our adventures and the history we learned.